The youth ministry, much like the children’s ministry, was born out of the need for it. The first students to graduate from sixth grade made us start to think about what would happen to them once they left the ministry. We felt a calling to continue supporting these children as they entered high school, which begins in 7th grade in Honduras. Throughout the years, the ways we’ve helped our teenagers have changed. At first, Nueva Esperanza covered the cost of private high schools for our youth to attend. However, with their difficult lives at home, it became obvious that many students were unable to meet the time commitment and high education standards these institutions required, and several began to fail. As it became increasingly hard to keep them in these schools, Nueva Esperanza opted for a different solution. Today the students enrolled in the youth ministry are given scholarships to help cover their education costs. Grades and attendance are the determining factors in the amounts received. The bigger the desire to continue their studies and succeed in school, the bigger the scholarship they can receive. Maintaining their scholarships is simply a matter of meeting required attendance standards at Nueva Esperanza and continuing in high school without failing a school year pending some exceptions. It is through these scholarships that we try to motivate our youth to continue pursuing their education as a means of improving their difficult situations. Through the youth ministry, Nueva Esperanza hopes to continue to provide an escape from the difficulties many of our children face. We wish to encourage a strong spiritual walk and a safe space for them to achieve academic and personal improvement. Furthermore, it is our wish to ensure that each and every one of our youth learns skills that will help provide them with opportunities. Not only are our students offered reinforcement educationally, but they are also asked about their career interests and helped with their future endeavors. Since so many of our youth are on the path to graduating from high school, we offer career short-courses, advisement, and prep for college admission tests. Once they leave Nueva Esperanza, it is the youth ministry’s goal to have each student well prepared for their next steps. In order to be involved in this ministry, our sixth graders who wish to move on to the youth program must go through a reapplication process. Their behavior, attendance, and grades are all taken into consideration before they are accepted into the youth program. Once they are enrolled, in order to remain in the ministry, they must continue in school and fulfill a minimum attendance requirement at Nueva Esperanza. They are encouraged and welcomed to come to the ministry every day. When it is required for students to come to the ministry, a typical day starts around 1:00 pm. At this point in time, students have finished their classes at school for the day. The first hours at the ministry are designated for homework. Whether students have projects to complete, research to do, or definitions to write, teachers are there to help and encourage. Once their homework is finished, students move on to being tutored. This is designed for those struggling with specific subjects. If a student does not need tutoring, he/she is granted free time to talk with friends or play a sport. Additionally, all of our students enjoy an afternoon snack. Many use this time given to ask for advice with daily struggles or talk about careers they wish to pursue. Weekly, each teacher plans their daily lessons that correspond and reinforce what is being taught in the students’ public schools throughout the year. The staff members at the youth ministry have several strengths. They each offer help in their specific areas such as math, grammar, or computers. Our teachers’ love, dedication, and passion encourage and inspire our youth to follow Christ and excel in whatever they choose to do. The students have known each other since their preschool and kindergarten days at the ministry. They are encouraged to feel like family, and this is reinforced by the many planned group activities that they enjoy. Once a month, the youth get to participate in a special activity such as going to a park, the movies, a pool, or a restaurant. 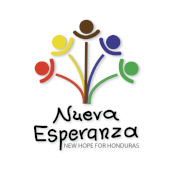 All youth involved in Nueva Esperanza’s ministries can be sponsored by anyone willing to pay a consistent amount of money to help cover the cost of their needs. It is through sponsorships and donors that Nueva Esperanza is able to cover the costs of running itself and ministering to others. Their generosity pays for teacher salaries, food, clothes, maintenance costs, and so much more. 100% of donations are used to take care of the youth. If you’d like to know more about sponsoring a youth, please click here.